Obtain a Canadian Tire Receipt to get your code to enter! The code is on the back of your receipt. 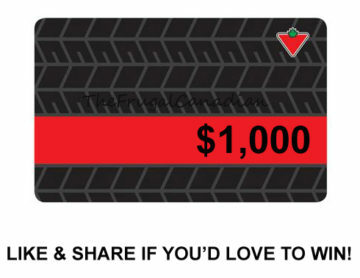 One (1) prize per day of either USD $1,000, CAD $1,000. Three (3) prizes per week, with each prize of either USD $500, CAD $500.